The fruit was discovered in the 1750s probably in barbados. Currently the grapefruit is said to be one of the "Seven Wonders of Barbados". It had developed as a hybrid of the pomelo(citrus maxima) with the sweet orange(Citrus sinensis), though it is rather closer to the first than the second. The official name being altered to Citrus paradisi. The grapefruit is a sub-tropical citrus tree grown for its fruit which are also known as grapefruit. A spreading tree, petioles winged, flowers in clusters, fruits in clusters, flesh yellow or pink with white seeds. Grapefruit essential oil has a sharp refreshing smell and is either a pale yellow or light ruby color with a watery viscosity. 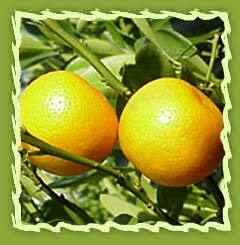 Aroma : : Citrusy, similar to lemon and reminiscent to the aroma of the grapefruit rind, but more concentrated. Chemical constituents: Grapefruit oil has various chemical compounds that include pinene, sabinene, myrcene, limonene, geraniol, linalool, citronellal, decyl acetate, neryl acetate, terpinenol, Geraniol, Citral and Neral. Extraction: It is extracted by the cold expression of crude peel. Grapefruit has a high vitamin C content and is therefore valuable to the immune system. It helps protect against colds and flu, has a very positive effect on obesity and also has diuretic properties, helping to remove excess water from the body and is therefore also great for treating cellulite. It has an uplifting effect on the mood and helps with stress and depression. It is used with great success to combat muscle fatigue and stiffness while stimulating the lymphatic system and thereby clearing the body of toxins. It helps to clear congested oily skin and also assists with acne, while toning the skin and tissues. It is used in hair care to promote hair growth. Grapefruit essential oil has been used for acne, appetite supprestant, cellulite, chills, circulation, colds, depression, detoxification, exhaustion-- physical and mental, flu/influenza, hair growth and tension headaches. Grapefruit seed extract is a great nontoxic spray or wash for the cleaning of all pet areas, cages and bedding etc. to provide a germ free environment. It can be mixed by the quart or gallon size if necessary and sprayed onto large areas with any type of spraying device. There is no need to rinse it off as grapefruit seed extract is biodegradable and nontoxic. Grapefruit seed extract is also very economical at 10-15 drops per gallon. Cellumend is the most advanced cellulite cream to remove cellulite and to prevent the formation of new cellulite nodules. The formulation is based on superior natural ingredients as well as hi-tech patented ingredients. Grapefruit seed extract is an effective additive for cleaning and whitening toilets, sinks, tubs, tiles, carpets, laundry, clothing, linens, dish water and eating utensils. Many hospitals use grapefruit seed extract for the purposes with superior results. Grapefruit cream has lot of industrial applications. Filters harbor germs. Mix drops of grapefruit seed extract in 2-cups water. Spray filter elements once a week. Allow to dry before using. Cleaning these on a regular basis can help reduce the dangers of airborne mold, mildew, viruses etc. Mix drops of grapefruit seed extract per gallon of hot water and it has been proven by hospitals to be extremely effective for this type of cleaning. Grapefruit seed extract can be used to spray the tops of any canned foods before opening to decontaminate. Applying drops of grapefruit seed extract to cutting board and work in with a damp sponge or dishcloth. 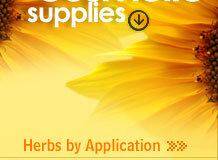 will remove salmonella, e-coli and many other harmful parasites and fungi. Adding grapefruit seed extract to a sink full of dishwashing water or to final rinse leads to automatic dishwashing detergent or in the final rinse. It is a very good floor cleaner also.